Stoke City, under the tutelage of Gary Rowett, haven’t had the start they would have liked. Rowett’s side have collected just 5 points from their 6 Championship games so far which isn’t an encouraging sign for them in their quest for promotion. 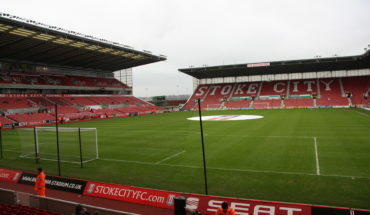 The Potters were beaten by West Bromwich Albion at the Hawthorns prior to the international break, which worsened the situation for them and put more pressure on the gaffer. On Saturday, Stoke are due to lock horns with Sheffield Wednesday at the Hillsborough Stadium and it promises to be an intriguing fixture. James McClean broke his arm while on international duty with Republic of Ireland and Stoke are set to be without him for a while. McClean is one of the more talented players in attack and the team will miss him. While Tom Ince is back in training after his hamstring injury, Ibrahim Afellay should be in the squad soon after his recovering from his knee injury. Meanwhile, Sam Clucas, who was sidelined for three months with a knee injury, is back and might feature. Jack Butland is expected to keep his place between the sticks against Jos Luhukay’s men. We expect a four-man backline comprising of Ryan Shawcross and Ashley Williams in the central defence, with the latter replacing Bruno Martins Indi. Moritz Bauer should start ahead of Cuco Martina as the former’s marauding runs will be handy on the counter. 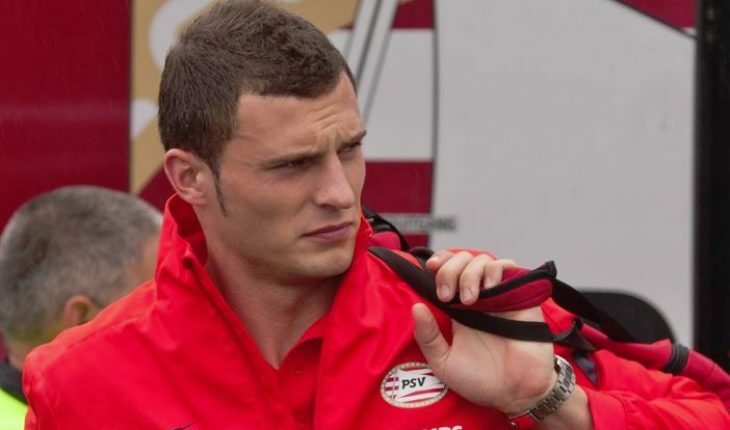 Erik Pieters, who has found the back of the net twice this season, is likely to start in the left-back role. Pieters has also made 2.2 tackles and 4.2 clearances per game on an average this season. Mame Biram Diouf could get the nod to start on the right flank with Clucas likely to start on the opposite flank. Joe Allen has a passing accuracy of 81.6% and an assist in 6 games and we expect him to keep his place in the central midfield alongside Oghenekaro Etebo. Benik Afobe might lead the line instead of Peter Crouch. The 25-year-old has already scored 2 goals in 6 league appearances this season and should spearhead Stoke City’s attack. Saido Berahino could play behind Afobe in attack. Berahino is good on the ball and has managed 1.3 dribbles per game so far, so the gaffer will hope he can trouble the Wednesday defence with his ability on the ball. 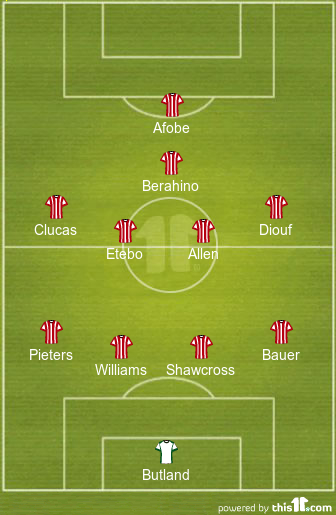 Predicted 4-2-3-1 Stoke City XI To Face Leicester City: Can Lambert Mastermind A Win? 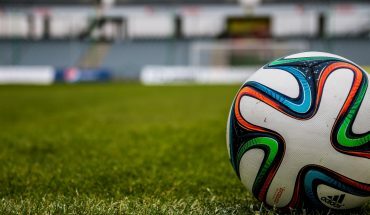 West Ham United Keen On A Move For Sensational Swiss Star: A Shrewd Deal In The Offing? 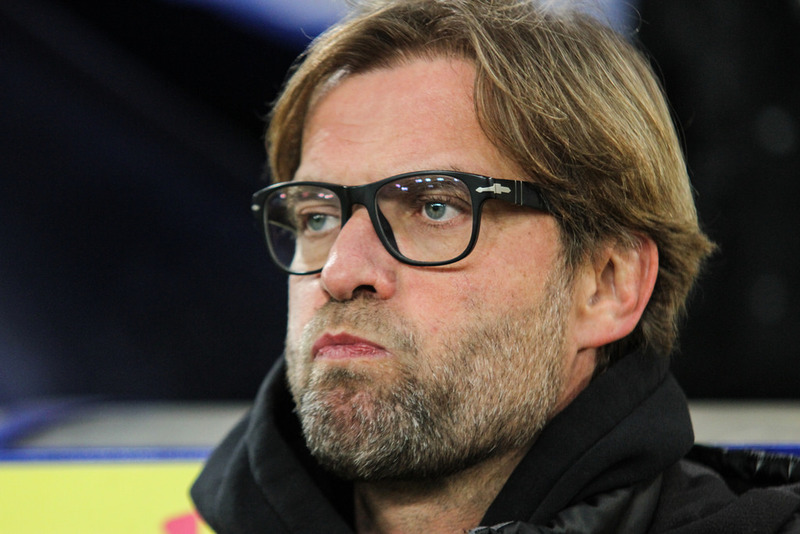 Stoke City Youngster Now On Liverpool’s Radar: Where Does He Fit In At Anfield?